We specialize in your vehicles drive train this includes: the transmission, clutch, flywheel resurfacing, transfer case, drive line, differential, axle, constant velocity, and wheel bearings. Why bring your car to A-1 Transmission Service instead of the general repair shop. 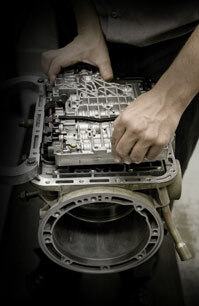 We are transmission specialists with extensive experience in all aspects of transmission service and repair. Our experience, knowledge and diagnostic tools exceed that of a general mechanic. We can more accurately diagnose and resolve transmission problems, often saving our customers from unnecessary labor, parts, or transmission replacements. Service, computer diagnosis, repair and rebuild. We resurface flywheels, repair drive shafts and axles. We also perform vehicle factory maintenance services. We keep a large inventory of parts to get your car back on the road quickly.